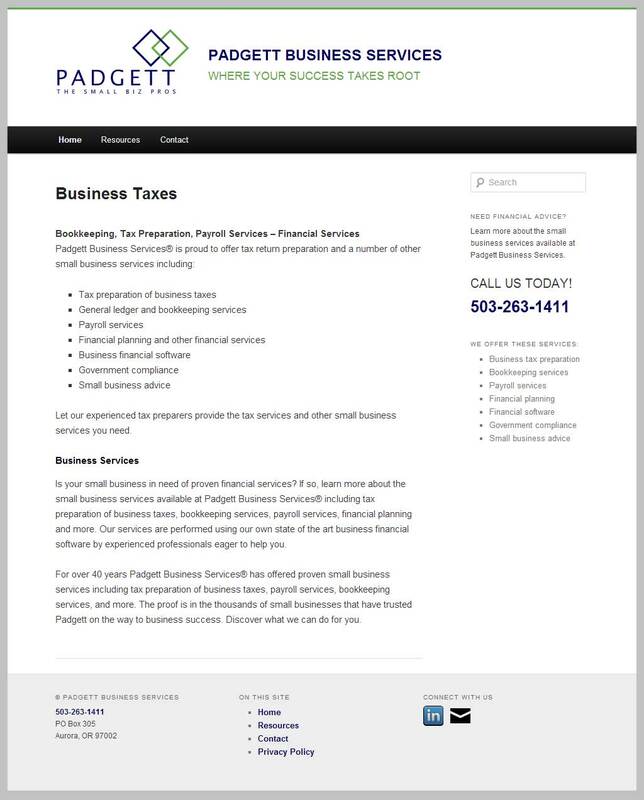 David Strubhar of Padgett Business Services (Aurora, OR) needed a website to represent his accounting and financial consulting business. As a franchise owner, he provided a low-resolution Padgett corporate logo and I recreated it in Adobe Illustrator to suit our needs. Although the site's design and content was fairly basic, the Wordpress framework was ready to grow with his business. Recently David and I migrated his website to a hosted framework that provided content directly related to his tax business. Domains registered by Zook Computer always belong to the business client and can be transferred or pointed to another server at his request.